Progressive rock or as it’s better known prog rock grew out of the 1960s psychedelia as groups extended the length of their songs (compositions?) with longer instrumental passages to create something almost symphonic at times. Progressive rock was possibly the dominant musical force in the early 1970s with hard rock and the one that the punk rockers objected to most when they staged their revolution in 1976/77. The big prog rock groups were Pink Floyd, Yes, Genesis, King Crimson and Emerson Lake & Palmer plus many smaller groups and they loved releasing live albums. If you’re looking for new ideas, I recommend that you take a look at my readers poll to find the Best Prog Rock Live Albums. Plenty of people have now voted. Are there great live albums from the modern progressive rock bands to rival the classics recorded in the 1970s by Yes, Genesis, ELP and King Crimson? Below I give you the chance to vote in a best live modern prog albums poll as well as present the mainstream best live progressive rock albums polls. In terms of record sales, modern prog rock has been a flop with a place well away from the top reaches of the album charts. I think there’s a different story in terms of quality. Some of these modern prog rock bands have plenty interesting to contribute. I’ve been stubborn. Stuck in the 1970s, happy to explore what was happening in Italy and elsewhere but not if it was recorded after 1979. I realise it’s ridiculous to talk about “modern prog” as starting in 1980, nearly 40 years ago but I think many prog fans have a similar attitude to mine of old. When Marillion appeared in 1983 with Script for a Jester’s Tear, I couldn’t understand why anyone would want to listen to Gabriel era Genesis clones when we had Trespass, Nursery Cryme, Foxtrot, Selling England By The Pound and The Lamb Lies Down On Broadway to appreciate. Then they added insult to injury by having hit singles. Gradually I’ve gone in search of more prog, investigating the difficult bands from my youth and the Internet increased my knowledge to the wonders of Italian prog. Over the last couple of years, I’ve gradually opened up my eyes and closed down my prejudices to post 1980 prog and come to accept some bands are interesting and, dare I say it, good to great. Progressive Rock started as a separate category of music around the time of the debut King Crimson album, The Court Of The Crimson King in 1969. Genesis and Nursery Cryme, Foxtrot, Selling England By The Pound, The Lamb Lies Down On Broadway, A Trick Of The Tail, Wind & Wuthering. Pink Floyd – Meddle, Dark Side Of The Moon, Wish You Were Here, Animals. Yes – The Yes Album, Fragile, Close To The Edge, Tales From Topographic Oceans, Relayer. The list could go on as you work your way down the prog rock royalty list. Did the punk and new move explosion of 1976-1978 kill off prog? Not quite although many of the leading lights tailed off or took their work down commercial avenues. In the 1980s, the neo-prog movement emerged although Marillion were the only ones to have success comparable with the 1970s super bands. Since then prog rock has been bubbling away and thriving in the undergrowth of popular music. Out of sight of the mainstream, bands like Spock’s Beard, The Flower Kings, Porcupine Tree and Transatlantic have been loyal followings. Progressive metal has also emerged, combining the heaviness of Iron Maiden and Metallica with complex song arrangements and even concept albums. Dream Theater are probably the best known of the prog metal bands and, for me, these bands mainly belong in my hard rock and heavy metal polls rather than in the prog rock polls. I owe my conversion to the excellent specialist website Progarchives.com , which lets reviewers and others rate prog rock albums out of 5. In their scoring system, 5 is essential for a prog rock album collection, 4 is excellent and 3 good. In those scales, anything with a score more than 4 must be worth taking a look at. As you can see, this is a proper prog rock website. You might think there’s too much King Crimson, and they are a band I’ve found it difficult to love beyond their debut, but I don’t think you can argue with the quality in the list. In my poll, it is the Yes and Genesis albums that dominate but then asking people to vote for their favourite five live albums turns it into a combination of a guide to quality combined with popularity. So what do ProgArchives think are the modern greats (again data extracted 16/9/2018) ? I’ve created separate lists for prog rock and prog metal to give due warning to anyone who has problems with metal. ProgArchives is very much for prog specialists and it’s preference for albums doesn’t mean it fits in with the mainstream. There is also a huge number of differences in the number of review ratings between the popular and the rare which may provide a bias towards the less well known bands. My personal tastes are very much in the symphonic style of progressive rock – Yes, Genesis and Camel back in the 1970s and so far I’m finding Transatlantic, The Flower Kings and Karmakanic to be well worth exploring. What Do You Think Are The Best Modern Prog Live Albums? I considered not creating a separate poll as the modern prog live albums dominate Division 2 in my main best live prog albums poll but I thought that could prevent these albums getting a fair judgement. What I have done is bring across the votes from the main poll (as of 17/9/2018) into this best modern prog live albums poll. Normally I only allow five votes per poll but I’ve given you up to ten this time. Please buy any albums through my links to Amazon.co.uk and Amazon.com. The small affiliate commissions help pay for the costs of the website. This is a less well known category so I think there are fewer obvious answers. Back in the 1970s, there was a right time to record a live album. It happened after a series of strong albums so the fact that Yessongs appeared after The Yes Album, Fragile and Close To The Edge was perfect. If it had ben left until the Tales From Topographic Oceans tour or even later it would have been weaker. It’s the same story with ELP and Welcome Back My Friends and even Genesis and Seconds Out. Robert Fripp was reluctant to revisit his past so King Crimson live shows were very focused on his current band so if you loved the Wetton, Brufford, Cross version, the 1973/74 albums were obvious. It’s a shame the band broke up before they had a chance to tour with Red. The career highs of bands like The Flower Kings, Spock’s Beard and Transatlantic are much less obvious so the choice of live album may not be driven so much by song selection as performance. Please cast your vote, and if possible, tell other prog rock fans about the polls. The more people who vote, the better the polls are to guide people to the best live recorded music. How Does Modern Prog Stack Up Against Traditional Progressive Rock In Terms Of Live Albums? The truth is, not very well on current evidence but as more of us release our prejudices against the new bands, I’d expect to see some of the albums rise although the lack of clear focal points may stop them rivalling the top 5. You can vote for up to FIVE of your favourites in this main best live prog rock albums poll. The blue links take you to pages with more details about these great prog rock live albums. Please buy any albums through my links to Amazon.co.uk and Amazon.com. After 240 people voted, I decided that there were less well known bands and albums that should be brought to your attention as a discerning fan of progressive rock. I encourage you to vote for any albums you believe are good enough to be included in the main poll. Promotion and relegation is possible as I’m aiming for the first division to have the best ranked 50 to 60 albums. As you will see, the majority of the live modern progressive rock albums appear in division 2 but you can help to change it. If you think I’ve missed a great prog rock live album out, tell me who and what particular album by leaving me a comment. Here is Pete Pardo of the Sea of Tranquility website explaining his love of live albums and especially hard rock, progressive rock and classic rock. Listed below are the live progressive rock albums I played in 2017. I started recording the live albums I played in 2015. Here are the indie progressive rock albums I played in 2015 and in 2016. No albums played this month. 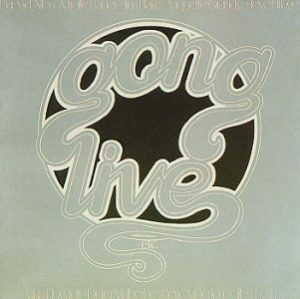 Live Etc is a live album by Gong. It was recorded at various concerts between 1973 and 1975. Below are listed the live progressive rock albums I played in 2016. In 2015 I started to share a list of the live albums I played. Here are the live progressive rock 2015 Albums. 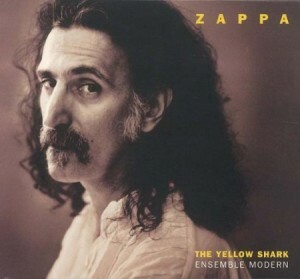 The Yellow Shark is a live album where Ensemble Modern perform Zappa’s songs and some of the songs were conducted by Frank Zappa. This was recorded at Alte Oper in Frankfurt, at the Philharmonie in Berlin and the Konzerthaus in Vienna in September 1992. By this stage Zappa was seriously ill from cancer and he died on December 4, 1993, a month after this album was released. Zappa was only well enough to appear at two of the concerts in Frankfurt where he received a 20 minute standing ovation. These were his last public appearances. 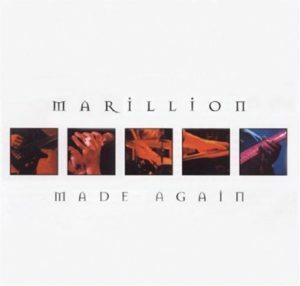 Made Again is a live album by Marillion. Tracks 1.1 to 1.6 recorded Live In London at Hammersmith Odeon, 29th September 1991. Tracks 1.7 to 1.12 recorded Live In Rotterdam at Ahoy Sportspalace, 29th September 1995. Tracks 2.1 to 2.19 recorded Live In Paris at La Cigale Theatre, 29th April 1994. 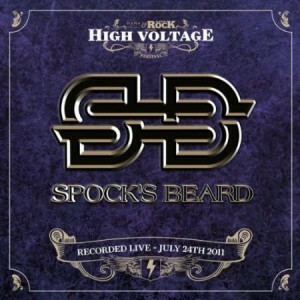 Live At High Voltage Festival is a live album by Spock’s Beard. It was recorded in the UK on July 24, 2011 and features a guest appearance by former frontman Neal Morse for the last two songs. It is the first recording after their second singer, Nick D’Virgilio left the band. 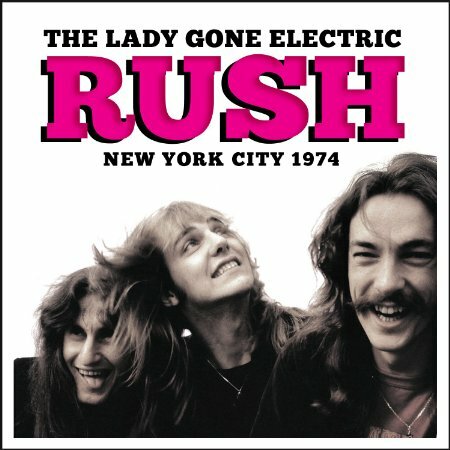 The Lady Gone Electric is a live album by Rush. It was recorded at the Electric Ladyland Studios in New York City, in December 1974 in front of about 12 people. 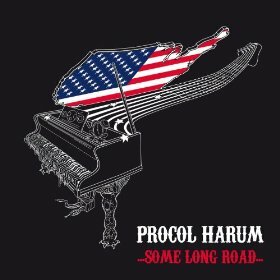 Some Long Road is a live album by Procol Harum. It was recorded during the band’s tour of |North America in 2012/13.